In the real-world, the cloud is a far cry from the amorphous, omnipresent entity that vendors and tech reporters attempt to portray. Instead, it’s mostly comprised of several infrastructure and technology choices, each designated for specific tasks – collectively known as multi-cloud. But why turn to multi-cloud instead of using a single cloud service provider? To be frank – it’s about having options. 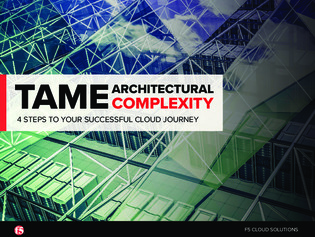 Jump into this guide to learn more about the features and reasoning behind multi-cloud strategies from security, architectural, and professional standpoints. On top of that, you’ll get a chance to glance over four multi-cloud best practices created to help curious enterprises map their cloud journey more effectively.